The powder magazine itself is seen on the right. 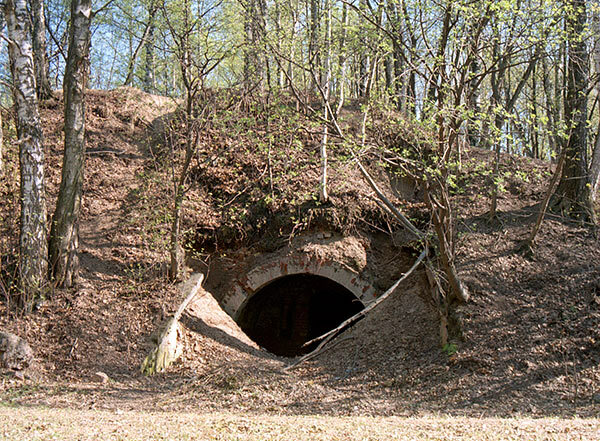 There were 7 such powder cellars on the East Vyborg's fortifications. 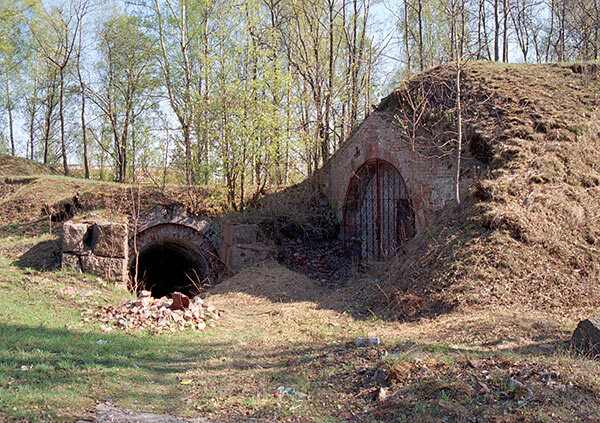 On the left the entrance to the underground passage to the ditch (sortie) is seen.